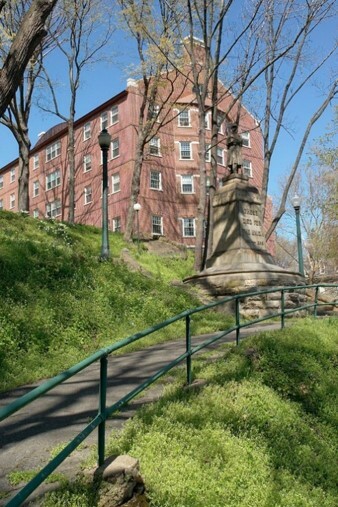 Lafayette College chose Irwin & Leighton to build their first new dormitory in many years. 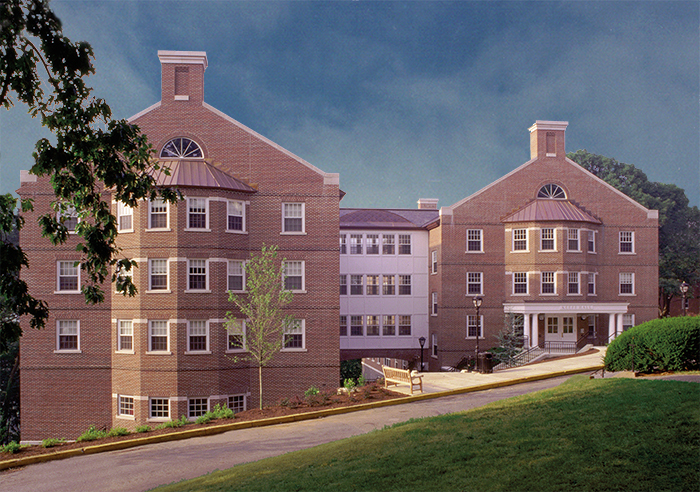 Keefe Hall is a ± 40,000 SF 115-bed concrete plank and masonry structure building with a brick façade and a slate roof. Site logistics were a challenge for the project team as the building was constructed on the side of a rock cliff at the edge of the campus. Coordination of deliveries and construction traffic with student, staff and visitor traffic was required due to the site location on the single lane main road on campus. 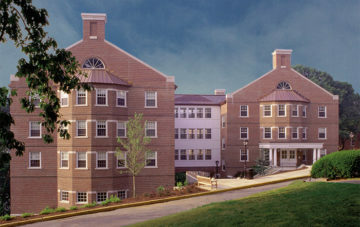 Increased focus on controlling dust, noise and vibration causing activities as the site was adjacent to three existing dormitory buildings on campus. Coordination between the new mechanical, electrical and plumbing utilities and the concrete plank openings. In order to reduce future maintenance, Lafayette chose a one-piece shower assembly that required close coordination between the floor to floor height of the precast plank and the required clearances for the plumbing rough-in. Electrical conduit rough-in within the new 2-inch concrete topping slab. Extensive finishes with brick facade and limestone surrounds, slate and copper roofing.